Stanislavsky’s system of actor-training has revolutionised modern theatre practice, and he is widely recognised to be one of the great cultural innovators of the twentieth century. 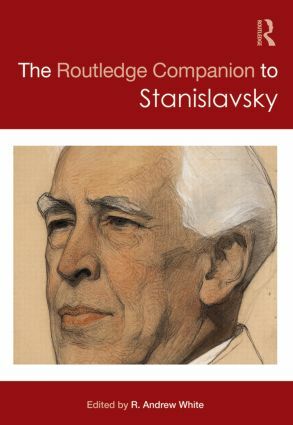 The Routledge Companion to Stanislavsky is an essential book for students and scholars alike, providing the first overview of the field for the 21st century. An important feature of this book is the balance between Stanislavsky’s theory and practice, as international contributors present scholarly and artistic interpretations of his work. With chapters including academic essays and personal narratives, the Companion is divided into four clear parts, exploring Stanislavsky on stage, as an acting teacher, as a theorist and finally as a theatre practitioner. R. Andrew White is Associate Professor of Theatre at Valparaiso University, where he annually directs productions. He has an MFA in Acting from Carnegie Mellon University and the Moscow Art Theatre School, and has worked as an actor at a variety of theatres in the United States. In addition, his scholarship has appeared in edited works published by Routledge and Palgrave Macmillan, as well as in top American journals including Theatre Survey, TDR/The Drama Review, and New England Theatre Journal.